Earlier this year, Hired.com released a report which focused on the topic of gender pay gap that continues to exist between the genders within the IT and Tech sector. 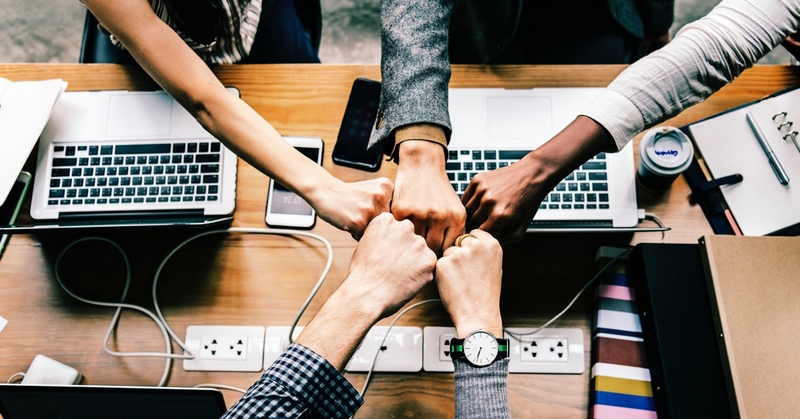 Here at Techloop, we have already written about the underrepresentation of women in IT, including some real-life anecdotes from our Facebook community, and it is a cause that we are genuinely interested in and are passionate about. 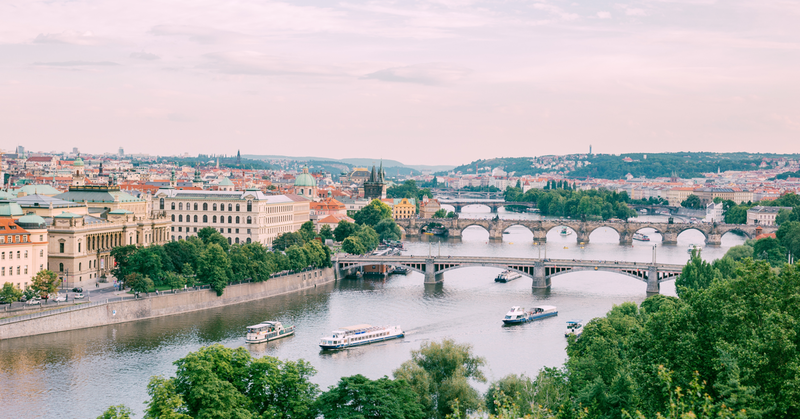 After reading Hired’s article, we decided to look more closely at the situation in Europe to see if the same wage inequality was present in the IT sector over here, and more specifically, how the Czech Republic, and other countries in which Techloop is present, compare. We based our article on Eurostat’s data which you can access under the Gender Pay Gap folder. 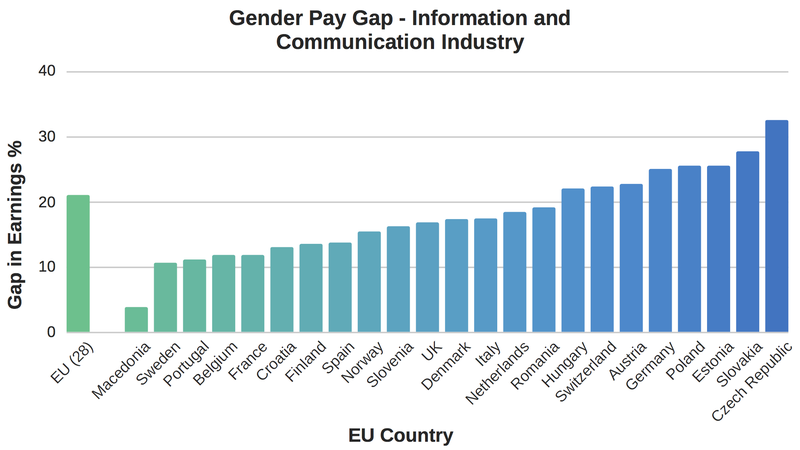 The results were surprisingly and unfortunately not very flattering for our own country, the Czech Republic, which has the most significant wage gap between the genders in the Information and Communications sector. 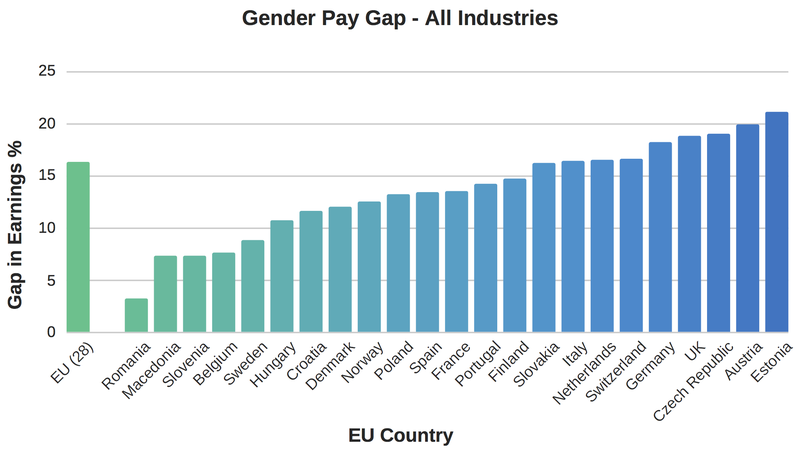 In the figure below, you can see how the Czech Republic has the infamous claim of being the most unequal in terms of the average wages paid to men and women working in the field of IT & Comms, with a staggering 32,5% difference between the two sexes, compared to the EU average of 21% for the sector. 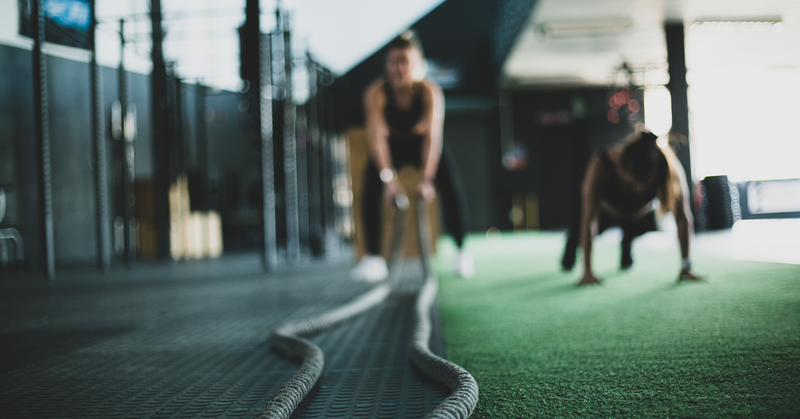 Neighbours Slovakia aren’t far behind in third place, with a 27,7% difference between the average wages of men and women (Lithuania came in second with 29,5%), and fellow Techloop territory, Hungary, has a 16,2% gap. Perhaps surprisingly, accordingly to the Eurostat data, it is Macedonia (FYROM) which has the smallest discrepancy with only a 3,8% difference, nearly ten times better than the Czech Republic! Less surprisingly, it is Sweden who is in second place on 10,6%, still only a third of the Czech figure. If we look at the overall gender wage gap across all industries, things are better for the Czechs, but only slightly. Estonia is the worst offender up at 21,1%, with the Czech Republic coming 4th overall at 19% difference in average wages. It is interesting to note how much higher the pay gap in the IT and Telecommunications area is when compared to the average across all industries. For such a forward-thinking and innovative sector, it is a shame to see that such inequality persists across Europe, despite equal pay being one of the founding principles of the EU, embedded in the Treaty of Rome (1957). One main reason for the discrepancy could be the inconsistent way in which EU legislation is implemented between EU member states. More information on the application of EU equality laws can be found here. All stats and data are open to interpretation, and the severity of the Gender Pay Gap is influenced by other factors besides the simple difference between what a man earns and what a woman earns for doing the same job. “There are various reasons for the existence and size of a gender pay gap and they may differ sharply between the Member States, e.g., kind of jobs held by women, consequences of breaks in career or part-time work due to childbearing, decisions in favor of family life, etc. So, as always a degree of caution should be applied when reading bare statistics and drawing conclusions thereof. “While we don’t doubt this data, it’s essential to view it within a broader context. 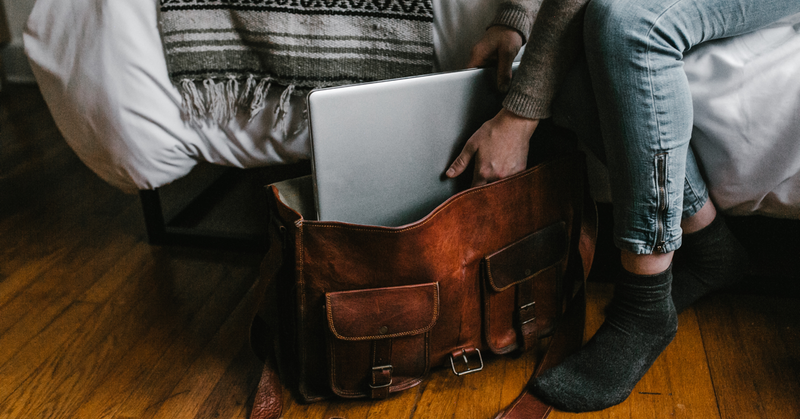 Every day, along with our hiring managers, we decide whether to make offers to candidates and much money they would earn. I’ve never come across a situation here where a candidate was judged on their gender rather than their knowledge, experience, and personality. Why Is the Situation So Bad in the Czech Republic? Differing interpretations and external factors notwithstanding, there is still clearly an obvious problem in the Czech Republic. It doesn’t take a statistician to conclude that there is still some way to go before equality in the workplace, and in particular in the Tech industry is achieved in the country. A simple look at adverts still used by certain (but by no means all) companies or a quick chat with women working the IT field will tell you that there’s much work to be done. So ladies – don’t be afraid to say what you’re worth. For an idea of what you should be earning, take a look at our article about IT salaries. On Techloop, job seekers are anonymous until they agree to go to an interview, meaning that our developers can be judged on nothing but their skills, experience, and competence.